Here’s another great example of using 3D Design and 3D Print to turn imagination into real life! Not long ago, an artist by the name of Oliver Pauk visited a 3D Printing talk by Steve Cory, President of Objex Unlimited. 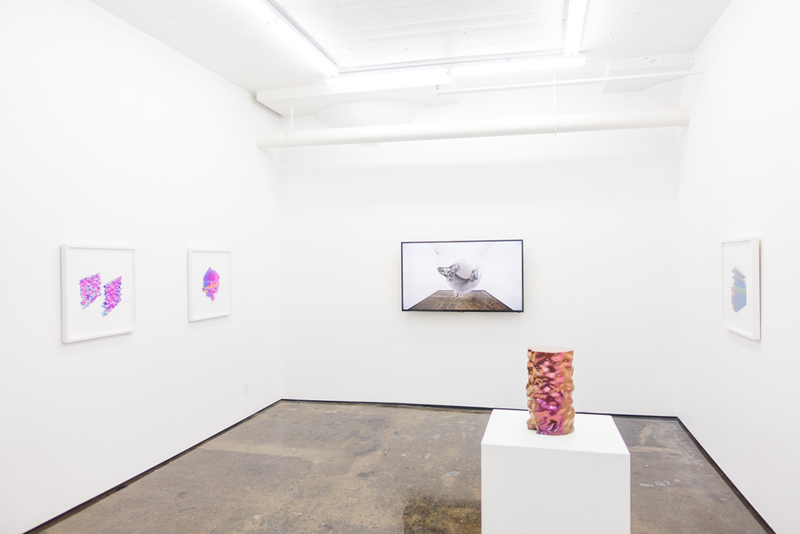 He started asking questions and eventually visited the offices here to see the different printers on-site, and started to realize how the different technologies could help him develop his art. The piece eventually created was part of Oliver Pauk’s Objects collection, which can be seen here: www.oliverpauk.com/objects/. Oliver Pauk was experienced creating 3D Designs in photoshop and wanted to make his file printable. It was determined that the best technology for the job was Stereolithography (SLA) 3D Printing, which uses a laser and a plastic based liquid resin, optimal for extremely fine detail at a comparably high strength. As SLA is not a colour printing technology, the colours were applied to the model using Hydrodipping. The process involves taking a non-porous plastic, placing a coloured film across a the surface of a vat of water, and then dipping the object into the vat as the colour transfer wraps around the object. The results are absolutely amazing! Check out more of Oliver Pauk’s artwork from the same collection in the link below! The ProJet 6000 HD offers three choices of print resolution, a choice of 6 VisiJet SL materials including the VisiJet SL Flex and Jewel. The material used for this particular project was VisiJet SL Black, ideal for ABS-like look and feel, high strength and good dimensional stability. Normally used for automotive and consumer goods prototyping and Ideal for electronics housing. The ProJet 6000 range delivers up to 10 x 10 x 10 inch (250 x 250 x 250 mm) net build volume. With options for high-definition, ultra high-definition and extra high-definition printing resolutions, you are guaranteed to print nothing that’s less than exceptional. Objex Unlimited 3D Printing Studio is a full-service 3D solutions provider and 3D product reseller specializing in 3D Printing, 3D Scanning, 3D Design and 3D Services. We’re leading the 3D printing revolution to explore, develop, and commercialize new applications in 3D. Leveraging unparalleled expertise in 3D technologies, we work with you personally to find a product or solution that will save you time, effort, and money. We will bring your ideas and designs to life by creating working parts, beautiful full-colour models, and rapid prototypes. Authorized resellers of 3D Systems, Artec, Markforged and LMI Technologies. 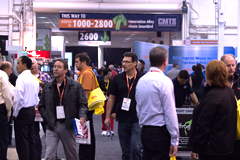 Canadian Manufacturing Technology Show (CMTS) 2015 is coming to Toronto! The Canadian Manufacturing Technology Show (CMTS) is once again coming to Toronto. Starting Monday September 28th and running until Thursday October 1st, CMTS is a place for manufacturers to show off the latest equipment and services available to market. 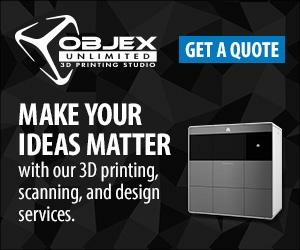 With a focus on “cutting-edge innovations in Advanced Manufacturing including Additive Manufacturing/3D Printing, Automation and Robotics as well as Design Engineering,” Objex Unlimited will be offering attendees an in-depth look at 3D Printing, 3D Scanning, and 3D Design… as well as showing off commercialized applications in 3D Printing. If you’re interested in entering the realm of 3D, as a full-service 3D Solutions Provider, Objex Unlimited will happily answer any questions you may have and point you in the right direction to get you where you want to go. Come visit Objex Unlimited at Booth #1269! If you haven’t received a promotional code from us, we’d be happy to share one with you! Register with us to receive a complimentary pass to CMTS! Come see Steve Cory deliver a talk on 3D Scanning! 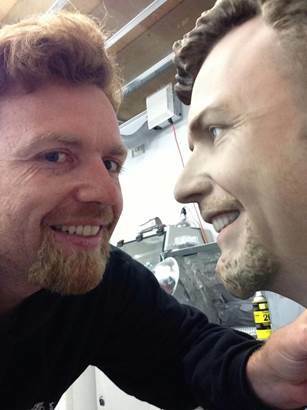 Objex Unlimited President and Founder, Steve Cory, will be delivering a talk open to all CMTS Attendees on 3D Scanning. As a member of the Additive Manufacturing Advisory Board (AMAB), and an expert in the field of 3D Printing, there is a lot to be gained from attending the talk. The presentation will be followed by a Question and Answer session if you have any further questions for Steve. “CMTS features the latest in Machine Tools, Tooling, Forming, and Fabricating technologies along with the cutting-edge innovations in Advanced Manufacturing including Additive Manufacturing/3D Printing, Automation and Robotics as well as Design Engineering. CMTS provides attendees from all walks of manufacturing an experience they never forget and often repeat: a hands-on, flexible, learning environment of revolutionary technologies. Come visit us at Booth #1269! https://objexunlimited.com/objexunlimited/wp-content/uploads/2015/09/CMTS-smart-image1.jpg 160 240 Objex Unlimited https://objexunlimited.com/objexunlimited/wp-content/uploads/2017/11/OBJEX_LOGO_WHITE_17-copy.png Objex Unlimited2015-09-15 13:58:592016-01-06 16:46:26Canadian Manufacturing Technology Show (CMTS) 2015 is coming to Toronto! Is your business ready for the 3D Printing revolution? Originally Published in April 2015 Issue (Vol. 18 | No. 3) of Graphic Arts Magazine. Objex Unlimited worked with closely with Graphic Arts Magazine to write articles catering to a print media and graphic arts crowd to educate about 3D Printing. This is part of that series of articles. Is your business ready for the 3D Printing revolution? With a good partner, the answer is definitely “yes!” Of course, for many print and graphic firms, 3D can be an intimidating field to enter. Once you discover what lies beyond the plastic, consumer-level “toy-maker” printers, there’s a world of sophisticated machines that can print functional end-use parts, full-colour 3D models and everything in between! First, decide if you’re 3D printing in-house or partnering with an existing 3D Print Service Bureau for production. If you decide to go in-house, make sure you understand your capital investment and estimated cash flow from print production. Depending on the type of technology, size, materials and other factors, a professional-level 3D Printer can range from tens of thousands to hundreds of thousands of dollars. Alternatively, a good entry-level “pro-sumer” device is $3,000 to $5,000 – but you’ll likely be limited in print size, speed and capabilities. If all of this seems daunting to you, partner with a 3D Print Service Bureau that can provide production and design services until you decide your own particular business and customer needs. They can help you test a few different technologies, then set up and train you on equipment and software that’s the best fit for your business and clients. Best of all there’s little to no cost to start offering these services to your customers right away. There are already full-service 3D Print Service Bureaus out there that have their equipment running each and every day and know the machines inside and out. They can tackle tricky scan and design issues, address print problems and make sure you’re receiving the best print quality possible. As discussed in last month’s article, outsourcing doesn’t stop at 3D printing but involves a considerable amount of work pre-print, and post-print. Look for a full-service bureau that can also handle design, scanning and other important services. It’s likely your customers will need help building their files or capturing the geometry of already existing objects – and having access to high-end scanners and design services is essential to building a successful 3D Print file. First, make sure to visit the office and observe how many different printers and technologies they have. If they only have one or two types of printers or scanners, they’re likely to recommend whatever technology they specialize in without much thought – even if it isn’t your best option. Second, ask questions. Make sure they’re willing to invest in the newest technologies and give you quick access to them. Finally, see if they’re using their printers frequently. It’s easy to keep a display model around. But if they can’t keep their own printers running, they likely won’t have them available when you need the most. It takes a lot of 3D prints to learn about the printing equipment inside and out – so there’s a huge benefit with leveraging your partner’s experience. While there’s an assortment of 3D Printer resellers out there that might sell you a big expensive “box” then leave you on your own, a good 3D Print Service Bureau that wants your repeat business will offer several different machine options, while educating you on the process. Only when you’re ready, they’ll set up and train you and your staff on a printer you’ll be 100% confident to purchase and operate, while being there to provide ongoing tech support. They should also give you production and finishing tips that will separate you from your competition. 3D Printing is already generating additional revenue for many. Once you see for yourself how the technology can add additional profits and win over new customers, then you can decide whether or not you’d like to start moving your 3D print production in-house. In next month’s final of this 3-part series, we’ll explore how and where to target customers with your 3D print products and services. https://objexunlimited.com/objexunlimited/wp-content/uploads/2015/09/ga1504-280x362.jpg 362 280 Objex Unlimited https://objexunlimited.com/objexunlimited/wp-content/uploads/2017/11/OBJEX_LOGO_WHITE_17-copy.png Objex Unlimited2015-09-14 11:53:172017-04-18 16:31:38Is your business ready for the 3D Printing revolution?